What Side Of The Street Do I Ride A Bike? What Kind Of Bike For Me – How Do I Choose? Bike riding can be extremely fun and adventurous. It also can give you a way to physically challenge yourself and over time it will become pleasurable. A lot of people don’t set out to try it because of the physical strain it can put on the body. But if you set your mind to bike ride it makes it a lot easier to get going. I will express how I do it from year to year. If you live where the winter weather drops conditions that make it impossible for you to ride you will sometimes get a 3-month break from riding. But I have been known to ride even in the winter as long as there is not a lot of snow or ice. You can always get cold weather bike clothing to fight the cold. 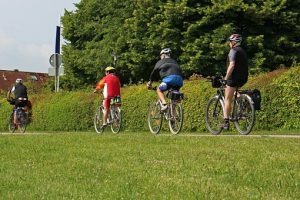 But if you get prevented from riding for 3-months or so, you lose some of the stamina and strength you had during the past summer. You might have been exercising but pedaling a bike has a certain toll it puts on the body. So when it is time to mount up again your body sometimes feel reluctant and plays tricks on your mind. This is because you have to build back to where you left off in strength and stamina. Which sometimes puts a little physical pain on you. This thought alone can deter people from saddling up again. But I set my mind to accept the challenge and to win it. For me, that is one of the joys of bike riding. To mount back up and say to yourself I got this! I will be back in stride in 3 weeks. It makes your challenge something you don’t mind doing. Three years ago I took the leap to ride to and from work which was 13 miles a day. Since that first start, every year is a reason why I should continue to ride. In my mind, it has become one of my yearly plans. This happens to many who start and continue for at least two years consecutively. Another reason I continue is I think about my automobiles. Riding my bike to and from work allows me to save money on gas and give my vehicles a mechanical rest. This preserves my wallet and my vehicular transportation. The most personal reason is that I turned 58 years old this year and I only weigh around 10 pounds more than I did when I was attending high school. Now I weigh about 190 pounds and I am 6’4. I played basketball and was younger so my metabolism was probably off the charts. Because I ride my bike mixed with my what I call the effective 30-minute workout for older people, I think my metabolism pretty much holds constant to this day. No better reason to set your mind to bike riding than being healthy. Although I get my Monday thru Friday commute ride in, I also sometimes mount up and hit the trails or just hop on to go to the store instead of driving. This is my pleasure time because I get to see more things riding my bike than I do driving my car. I often ride a good route and sometimes stop and sit on a bench in a park or by the river. This to me is a great way to relax after a hard week. Because I look at riding my bike in this fashion it creates yet another reason to set my mind to bike ride. Just about everything that we have to do takes us to have to set our mind to do it. Almost everything can make you say I don’t feel like doing it. But if there is a need or want to do something, we get it in our minds that it must be done. So with that being said, if you don’t have a bike you should get one and enjoy what it can offer you. 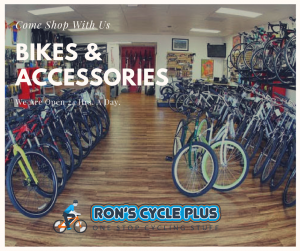 Feel free to browse around our store for a bike or any accessories you may need for the bike you already have. Plus there are other things pertaining to bicycling as well. And join me in bike riding this year. Thanks for stopping in and I hope you found this article encouraging. Please leave any questions or comments in the comments section below. If you would like to receive information on different bikes & accessories just sign up and find out what is available to you. 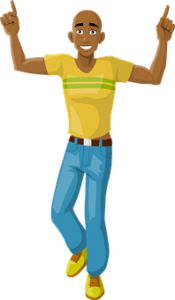 Plus receive our latest post. Is Biking To Work Safe? 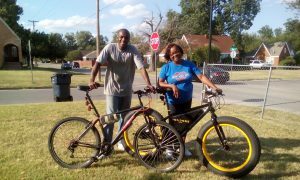 Ronnie Jordan on What Are Bike Sharing Programs? Copyright CYCLING FOR FUN 2019 - Designed by SiteOrigin.